Primary School Job Exam Admit Card, Notice, and Results 2018 will be found at our website. Primary School Job Exam of 2014 will be held on 1st June 2018. The news has been announced from the Primary Education Department yesterday for the upcoming recruitment notice of 2014. The written examination of the ‘Assistant Teacher Recruitment 2014’ in the revenue department of government primary schools in 14 districts of the country will be held on 1st June 2018. The information was given in a circular signed by Deputy Director (recruitment) AKM Safayet Alam, Primary Education Directorate on Sunday. 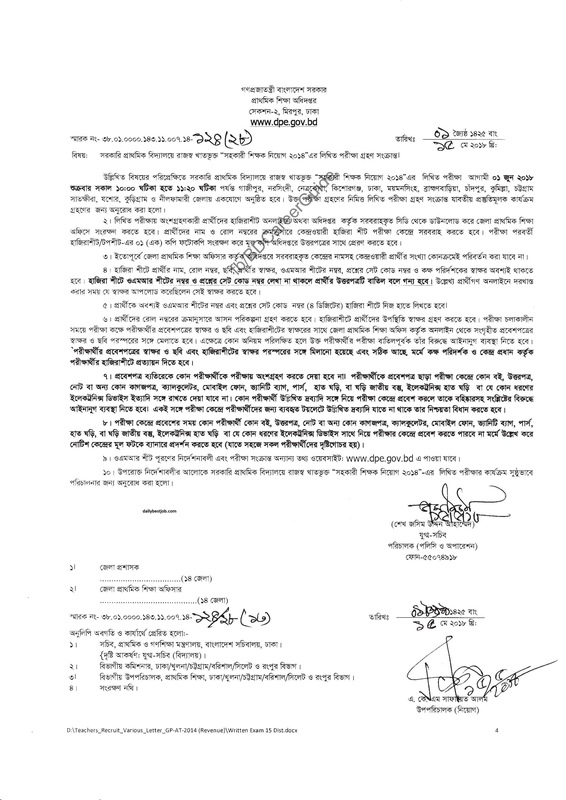 It has been stated in the circular that the written examination of ‘Assistant Teacher Recruitment 2014’ in the revenue department of Government Primary School will be held on 1st June (Friday) from 10.00 am to 11.20 pm in remaining 14 districts.